New York native and promising vocalist leavemealone takes fans on a smooth ride with his newest single titled “TEARS ON YOU”. 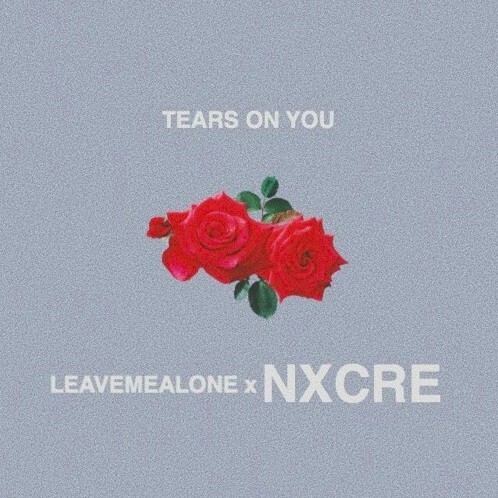 With the help of producer SECRET STASH, leavemealone calls on NXCRE to polish off one of his best releases yet. Between his unique voice and emotional lyrics, he creates a special vibe that has the potential to touch people unfamiliar with the rising artist, and in addition, the two artists offer their own twists and turns throughout the record, ultimately complimenting each other and solidifying “TEARS ON YOU” as a potential fan favorite. As leavemealone continues to release and progress musically, I’m certain he will carve himself a lane that pushes boundaries and demands attention. That said, be sure to stream “TEARS ON YOU” below and follow leavemealone on Instagram!